The simulation of electrostatic discharges is an important part of EMC tests for all types of electronic equipment. Many test standards require pulse voltages of a few kV to 15 kV while the automotive industry has even higher requirements. In this case, voltages of up to 30 kV must be applied to determine the immunity level. Not only do Teseq ESD simulators meet all of today's requirements, they are also designed to comply with tomorrow's standards. Teseq's ESD simulators are characterized by a compact and user-friendly design. Their pro duct features large, easy to read LCD displays that show the user all necessary parameters during tests. 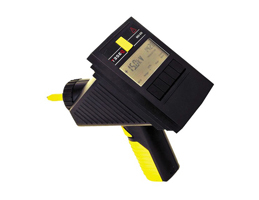 They can be operated either from rechargeable batteries or from a mains power supply.